The Parish Church of St Gabriel, Aldersbrook lies on Aldersbrook Road, a short way south of St Mary's and The Basin lake. 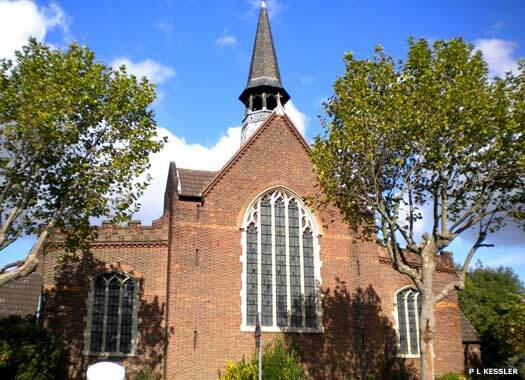 The first church on the site was an iron building erected in 1903 to serve a new housing estate on the lower forest area of Wanstead. It was dedicated on 16 October 1903 by the bishop of Barking. The present building, designed by Charles Spooner in the Perpendicular style, was dedicated in 1914, and the church gained its own parish in the same year. Aldersbrook Baptist Church is further down Aldersbrook Road on the corner of Dover Road. It grew out of a small mission which existed in 1898. A hall was built in Dover Road in 1902 and in 1906-1909 the church was built, adjoining the hall, but membership never rose above a hundred. The church was bombed during the war and later renovated. 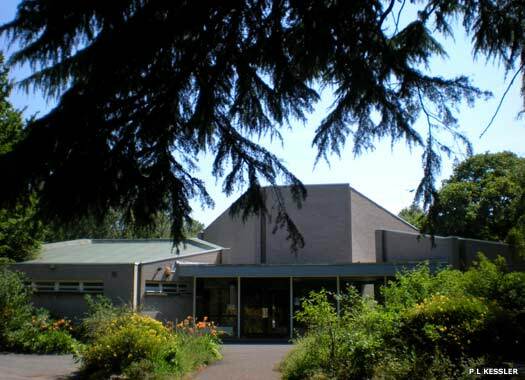 In 2009 the church was closed and the hall used for services while plans were made to redevelop the site with a new church. Wanstead Friends Meeting House (Quakers) is on Bush Road, very close to Leytonstone. Quakers were meeting in Wanstead at least as early as 1671, and by 1673 they had bought a building in George Lane for their meetings. The current meeting originated in 1868 as more and more people moved out of Central London. In 1870 the Becontree Assembly Rooms at Bushwood were purchased and were rebuilt in 1968 as the present polygonal white brick structure. 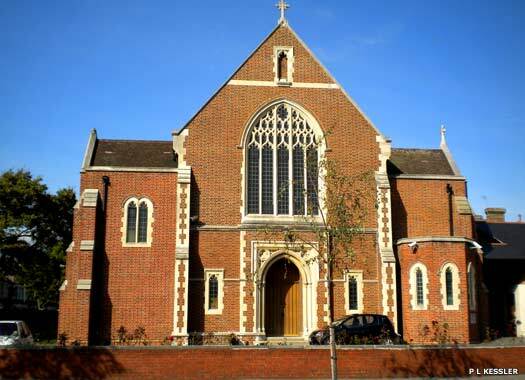 Our Lady of Lourdes Catholic Church is on the northern side of Cambridge Park Road, which is now divided from the main part of Wanstead to the south by the North Circular major thoroughfare. 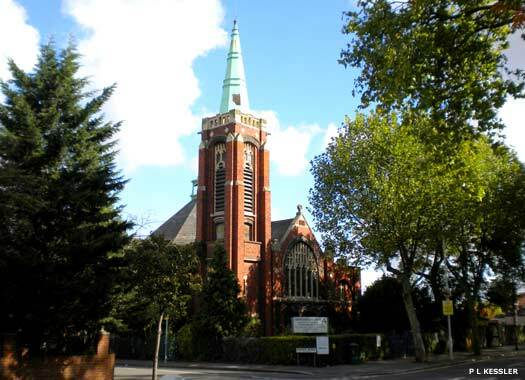 In the 1840s, Wanstead was a village, but as the adjacent districts of Walthamstow and Leytonstone developed, so the population increased, and with that, the Catholic community. The opening of a mission in Walthamstow in 1849 had particular significance for Wanstead. In 1910, Our Lady & St George, Walthamstow, opened a small mission in Hall Road, (now part of Gardner Close and demolished in 1966). 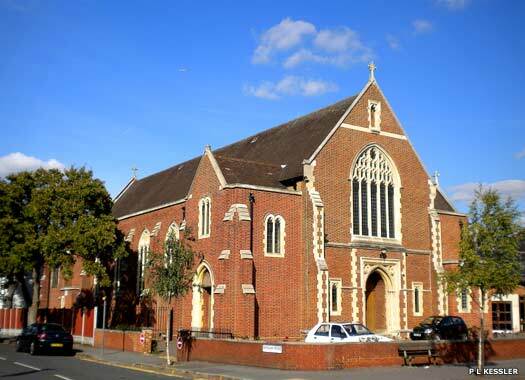 In 1918 the mission was transferred to the hall of the newly-opened St Joseph's Convent School, Cambridge Park. In July 1927, the foundation stone for the present church was laid on the corner of Dangan Road. The centre aisle was soon completed and the church opened on 13 October 1928. Construction was completed in 1940. 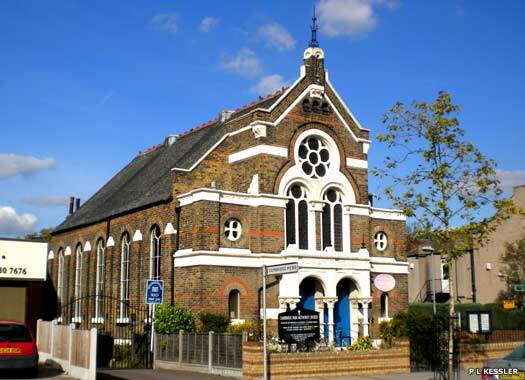 Cambridge Park Methodist Church lies further east on Cambridge Park Road, opposite George Green and close to Wanstead Underground. Founded as Cambridge Park United Church about 1865, it, and the old hall behind it, were built in 1875. The Cambridge Park hall was added in 1900, but most of it burnt down in 1962, and Warren Hall was built in 1964. In 2009, part of the church's ceiling collapsed and the aging building was sold in 2010 to become a nursery.